Universal Orlando Single Day Tickets give you 1 admission for 1 day to Universal Studios Florida and/or Universal’s Islands of Adventure. Universal Orlando 2-Park Tickets give you admission to Universal Studios Florida and Universal’s Islands of Adventure for the number of days purchased. 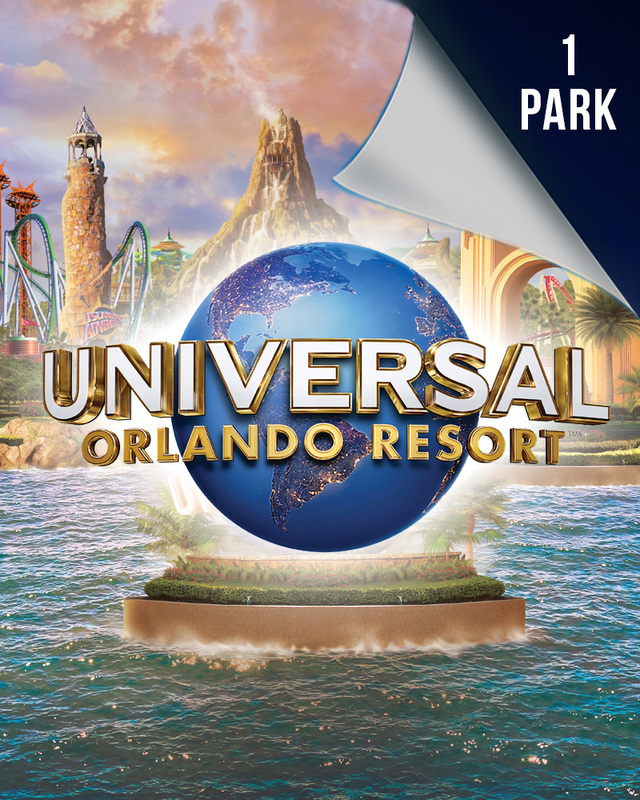 Universal Orlando 3-Park Tickets give you admission to Universal Studios Florida, Universal’s Islands of Adventure, and Universal’s Volcano Bay for the number of days purchased.